Joe is a fifth-generation Yukon resident and has a long history within the Yukon community. Joe attended Central State University and began his banking career with YNB back in 1984. 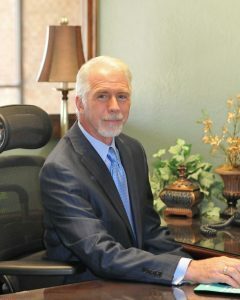 He has been with the bank ever since and boasts a long and successful banking and lending career. Joe has held a variety of positions throughout the years including Collections Officer and now Loan Officer and Vice President. He attained his current title of Vice President in 1995. Joe specializes in consumer lending and works with every customer to secure financing that meets their needs. Contact Joe today and experience the YNB difference!